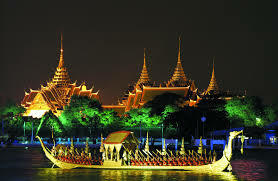 Child Visas » Orchid of Siam - UK Visas for Thai Nationals, Appeals Tribunal Help/Advocacy, Immigration Law Advice, Bangkok & Epsom Offices. For both spousal and fiancée visas a child or children can be admitted to the UK at the same time as the parent but a separate fees are payable for each child and a separate visa application form must be completed in full for each child. A parent already living in the UK who does not have British nationality can sponsor their child into the UK. Children over 10 years of age may be interviewed, this is not a formality. Children aged 10-14 may be interviewed in the presence of a responsible adult. Children over 14 are not interviewed in the presence of an adult. It is not enough that a sole custody order has been issued or that the sponsor is a parent. We will fully advise clients on how to meet the requirements. For children the Embassy will normally interview a parent or current guardian. A 'child' over 18 years of age can apply as a dependant relative in only the most exceptional compassionate and compelling circumstances. In all cases proof of the relationship will be required along with evidence that the financial and accommodation requirements are met the Tuberculosis test is also necessary as is a sponsorship letter. It is often the case that a child joining a parent in the UK will have a different surname due to the marriage of the mother. For the sake of convenience it is often desirable to change the name of the child to the same as the rest of the family.